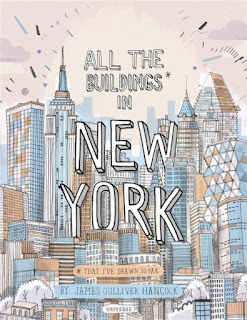 When Australian illustrator James Gulliver Hancock set himself the task to illustrate every building in New York City, he probably never dreamed how utterly enchanting this project would become to the rest of the world. James' illustrations have been exhibited in galleries around the world--and he's worked for such companies as Coca-Cola, Herman Miller, The New York Times and Simon and Schuster. His whimsical, detailed illustrations and dual-tone colour palettes are the stuff of dreams, and although the two books featured here are not strictly children's books, they would enchant a child as much as any adult type person. 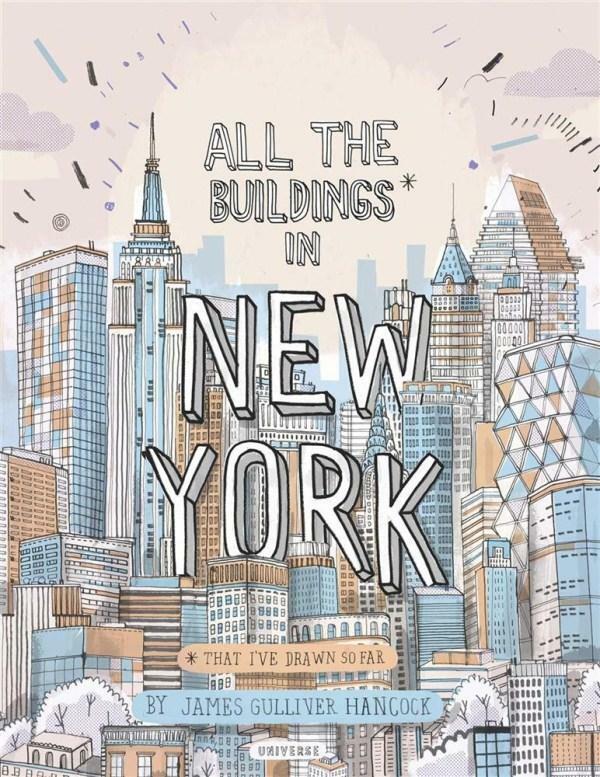 In All the Buildings in New York (That I've Drawn So Far), James presents us with an eye-popping array of architecture, neighbourhood by neighbourhood, and including such iconic buildings as the Rockefeller Center, the Empire State Building and the Flatiron Building. His images also stretch to the outer boroughs and include the brownstones of Brooklyn and iconic buildings of the Bronx and Queens. Beautiful details and a restrained colour palette are just pure heaven. Similarly, in All the Buildings in Sydney (That I've Drawn So Far), Aussies will delight in familiar territory, so beautifully rendered and explored. Again arranged by area, we visit The Rocks, Sydney City and the Harbour, and on to Potts Point, Paddington, Vaucluse, Bondi, Randwick and many other suburbs--highlighting the truly vast array of Sydney architecture and iconic sites we all know and love. Snippets of text and facts complement the illustrations, with hand-drawn typography and beautiful layout and design. Learn more about James at his website. Architecture is an interesting topic on its own and to have it illustrated in ink is just as artistic as you could ever get. This is especially true when it concerns concrete jungles like in New York and Sydney where every single building form is futuristic and modern to represent the evolving era that we all live in. It is indeed a joy to view such amazing works.